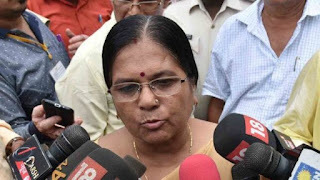 Today Bihar Social Welfare Minister Manju Verma Resigns from her post. She submitted her resignation to Bihar CM Mr Nitish Kumar after his and her husband Chandreshwar Verma name link up with Brijesh Thakur. Opposition parties continuously demand her resignation from the Government after they found this fact. When CBI officials inspect Brijesh Thakur Call details they found that Manju Verma talks with Brijesh Thakur. Moreover, the minister itself accepts that she talks with Brijesh Thakur. However, she also explains all these conversations are totally departmental. CBI officials expose that from January 2018, a total of 17 call conversation happens in between Manju Verma and Brijesh Thakur. Although Chief Minister Nitish Kumar had already said that if any evidence comes out, then he will not delay the resignation of the accused. Today Bihar Social Welfare Minister Manju Verma Resigns from her post. She submitted her resignation to Bihar CM Mr Nitish Kumar.